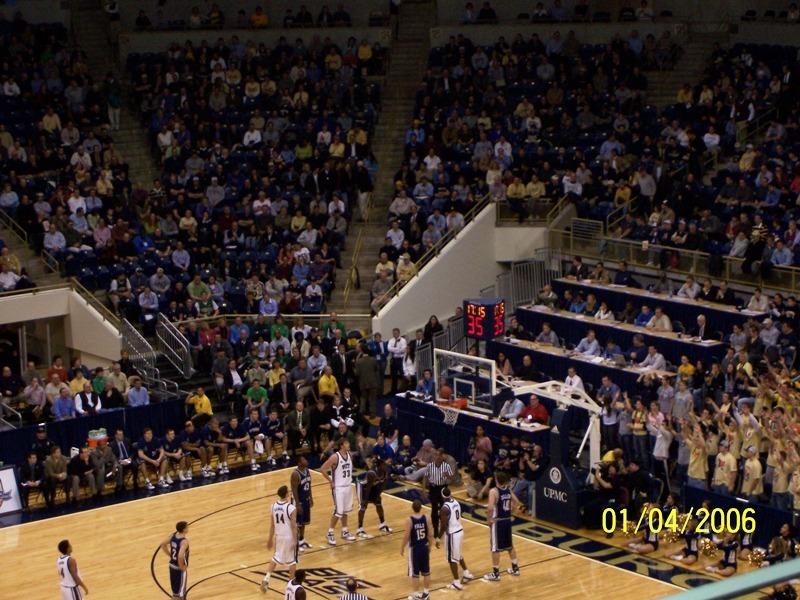 Pittsburgh Panthers finished spectacularly to a thrilling finish beating the Notre Dame Fighting Irish, 100-97 in the second overtime! It should have never come to that if the Panthers had made their free throws and did not allow a 4-point play. The Panthers missed six free throws down the stretch with less than 1:00 minute remaining to help Fighting Irish tie the game at 93. Here is the score box with less than 1:00 minute remaining in regulation, OT 1, and OT 2. With 45.5 seconds remaining in regulation, Panthers had a 9-point lead but it dissolved slowly as Quinn and Falls combined for 4-three's including a 4-point play to give them 13 points and tie the game. Pitt scored only 7 points in the last minute. If the Panthers had lost, those were the things that would have been remembered by the Oakland Zoo and all Panther fans especially that Quinn gave Notre Dame the win. Instead, Panther fans who attended the game including myself had a heart pounding edge of the seat thrilling happy experience. My experience was 2-fold since I was able to take pictures from different locations, have a club house box office seat experience with wonderful catered meals and deserts, and see the Panthers win in a grueling performance. It was exciting to see the Panthers go undefeated to start out the New Year 2006! With the victory on January 04, 05, the Panthers became only one of three teams that are undefeated with a 12-0 record and have been ranked 11th in the nation. Panthers played as a team and it showed in their victory.